There are a few key Manufacturers when it comes to thermal imaging. ATN: produce such well knows devies as ThOR-HD thermal scope, BINOX-THD thermal binoculars, and OTS-HD thermal monocular. 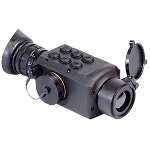 FLIR/Armasight: the largest maker of consumer level thermal products is well knows for their full product line. Zeus thermal scopes, Q14 and Scout monoculars, Helios and Scout binoculars and many more. 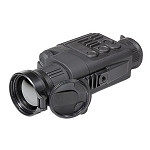 Pulsar: a very popular brand for digital night vision and thermal imaging. 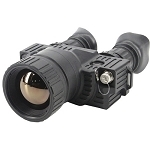 Key products include Pulsar Trail and Apex thermal scopes and Pulsar Helion and Axion thermal monoculars. Seek: mobile device mounted thermal cameras are the main products of this brand. Best Thermal Monocular of 2018 – Get Instant Results Now! From James Bond to Jurassic Park, night vision has been a staple of American pop culture for decades. So, when it comes to the notoriety of high-tech optics, thermal imaging doesn’t really hold a candle to night vision. That being said, when you step back and analyze the components and uses of each, thermal imaging may very well be the most interesting and practical of the two. While night vision devices require at least a little bit of light to operate, thermal monoculars detect radiation to project an image, rendering light unnecessary. Thermal imaging technology allows you to see extremely small differences in temperature — the hotter the object, the brighter the image will appear on the screen. Because of this, thermal monoculars make it easier to detect things that are hotter than their surroundings, even in environments with little to no light. This is considerably useful for a range of applications where vision is paramount. For example, firefighters need to be able to see people and pets in smoky conditions, often with debris blocking their line of sight. Thermal monoculars also help them identify areas within a burning structure that are the highest in temperature, which shows them where the blaze is at its fiercest. Law enforcement professionals benefit from thermal imaging devices, as well. During tactical operations, officers are able to reveal potential threats where they would have otherwise been blind. Many of today’s police officers and military personnel are even equipped with thermal imaging rifle scopes for this very reason. 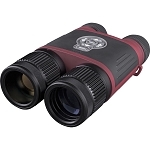 As you can likely imagine, thermal monoculars are widely popular among hunters. Lots of commonly hunted animals — such as deer and hogs — are most active at night or in low-light situations. A lightweight, versatile thermal monocular is a valuable asset for a hunter, allowing the user to hold it steady for long periods of time without succumbing to fatigue. Because it’s equally effective during the day as it is at night, a thermal monocular is a useful tool for surveillance purposes. The same goes for performing energy audits on homes and buildings, where identifying an area that’s leaking heat can lead to repairs that will save users a hefty wad of cash on utility bills. Which thermal monocular you ultimately choose will depend on your intended use, your budget, and the level of portability you require. It shouldn’t come as a surprise that the most powerful options are typically larger and more complex than small, versatile models. Whereas a hunter may spend an entire day using the device, a law enforcement official may only need it for a quick operation. In this case, the hunter — or someone tasked with long-term surveillance responsibilities, for that matter — will probably opt for something lightweight with a long-lasting battery. Conversely, the mission-focused soldier may prefer a heavy-duty monocular with multiple viewing modes, high resolution images, and the ability to store video. For some, the device’s magnifying power will factor heavily into which option they select. Thermal monoculars feature less magnification than standard monoculars, and the price tends to go up as the image gets sharper. Some of the most powerful options have zoom capabilities that can detect heat signatures at more than 1,000 yards away. Since outdoor applications are some of the most common for these devices, they’re usually fairly durable and resistant to the elements. If there’s a chance you’ll be spending an extended amount of time outside in wet weather, you’ll want to make sure your model is fully waterproof. Some models can even adeptly cut through rain, snow, fog, hail, dust, and debris to detect heat targets — which is ideal for those who operate in extreme conditions. You’ll also have to decide how important a color screen is to you. Some models come in full color, some only feature black and white, and others allow you to toggle between the two. Color mode may attract the most attention, but you can often observe greater detail when in black and white mode. As technology advances, the selection of potential nifty features that accompany thermal monoculars gets more expansive. Some offer different operating modes tailored to the specific environment you’re in, such as a forest or a city. 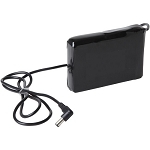 Others have Bluetooth capabilities, feature external back-up batteries, or come with tripod mounts. To narrow down your choices, prioritize attributes that are essential to how you’ll use it. How Does Thermal Imaging Work, Anyway? When you set out to use a high-tech device such as this, it’s crucial that you possess a satisfactory understanding of how it works — particularly if you’ll find yourself in an intense law enforcement or military situation. Everything out there in the world produces energy in the form of heat. The amount of infrared energy an object radiates is proportionate to its temperature. Thermal imaging technology detects very subtle differences in temperature to reveal things to the user that would otherwise be invisible to the naked eye. The crown jewel of the thermal monocular is its special lens that focuses on the infrared light of all objects within its field of vision. When in use, numerous infrared detecting elements are active within the device. Working together, these elements pull from thousands of visual points in the lens’ view, then use this temperature information to create a detailed pattern called a thermogram. This all occurs within a fraction of a second. The monocular quickly converts the thermogram into electric impulses. The circuit board inside the device processes these impulses, translating this data into images that will display on the digital screen. In addition to monoculars, companies use thermal imaging technology to produce handheld thermal imaging devices and to create cameras for security and surveillance systems. Handheld models are convenient when long-range vision isn't important, and thermal cameras serve as a nice complement to standard cameras, allowing security and surveillance systems to offer comprehensive threat detection capabilities.